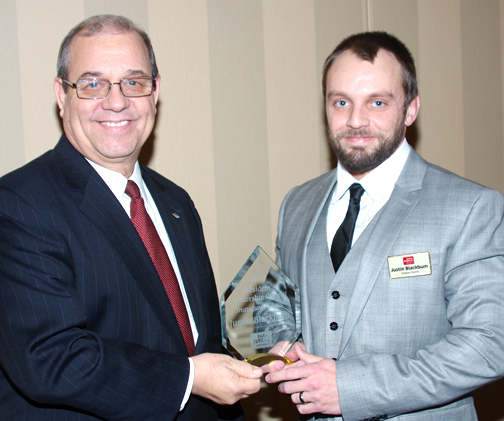 Justin Blackburn with Arkansas Farm Bureau President Randy Veach in 2012, when he was part of the inaugural class of Farm Bureau’s President’s Leadership Council. Justin Blackburn works with USDA’s Farm Service Agency and farms 1,700 acres with his brother, Britt, in Greene County. 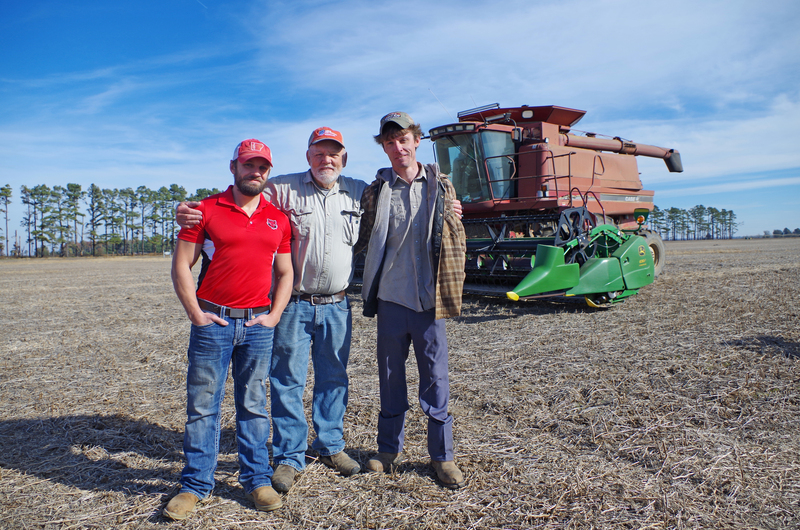 He’s an eighth-generation farmer and grows corn, soybeans, milo, wheat, rice and other crops. Justin, Jimmy Pat and Britt Blackburn. Justin and his brother farmed for years with their father, Jimmy Pat Blackburn, who served on the Greene County Farm Bureau board of directors for over 25 years. The brothers and their father were honored as Greene County Farm Family of the Year in 2016. Jimmy passed away in 2017, and Justin explains that he and his brother are still getting used to life without his guidance and direction.